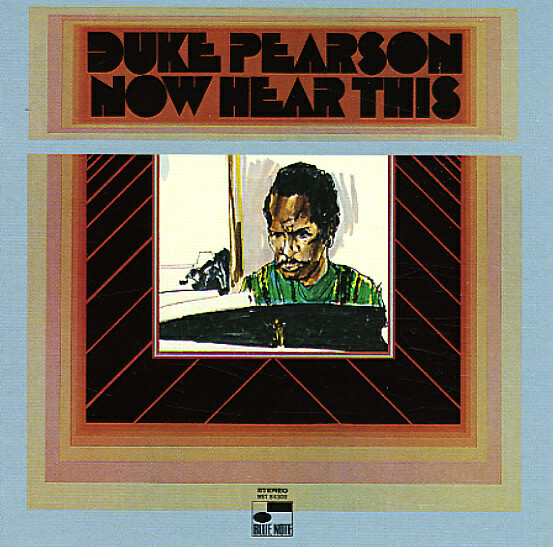 Duke Pearson knocks it out of the park with this one – perfectly summing up all the new ideas in jazz arranging and large ensemble work he'd been exploring at Blue Note – and pushing things way way past his previous small group material as well! The album's quite different than most other 60s iterations of big band jazz – as Pearson's got a way of making all instruments come together on the rhythms, then exploding with subtle colors and soulful tones – yet all at a level that's never forced or gimmicky at all. It helps that he's got a tremendous lineup of players here – both Lew Tabackin and Frank Foster on tenor (the latter of whom does some arranging for the record) – plus Pepper Adams on baritone, Marvin Stamm and Randy Brecker on trumpets, Garnett Brown and Jimmy Cleveland on trombones, Jerry Dodgion and Al Gibbons on alto, and the rhythm team of Bob Cranshaw on bass and Mickey Roker on drums. Duke plays superb piano with a really sophisticated touch, but it's really his strength as an arranger that makes the whole thing come together beautifully. Andy Bey sings on a version of "I'm Tired Cryin Over You" – and other titles include "Amanda", "Tones For Joan's Bones", "Dad Digs Mom", "Disapproachment", and "Make It Good". © 1996-2019, Dusty Groove, Inc.